The Archive trolley was specially designed and equipped to work in archive rooms. 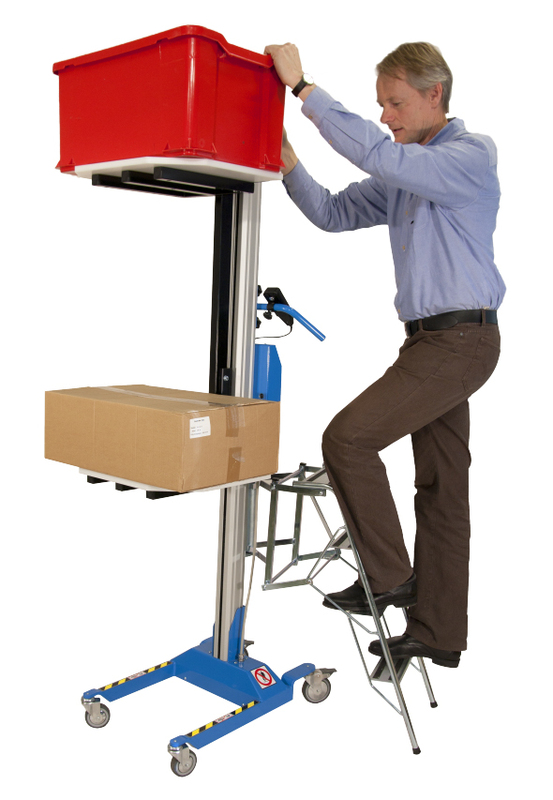 And really, this lifter is ideal for moving and lifting cartons, crates, boxes and similar items, even in tight spaces. The trolley has come to be a common sight at archives but it is also used at work places where a large amount of items are stored on and collected from high shelves. The trolley is equipped with a step ladder to facilitate handling of material shelved higher up and to easily handle loading and unloading from archive shelves. The spring-action ladder folds out when you step on and automatically folds up again once you step off. The ladder is also hinged and can be turned to allow you to step on from different angles and you can fold it aside when you’re about to move the trolley along. 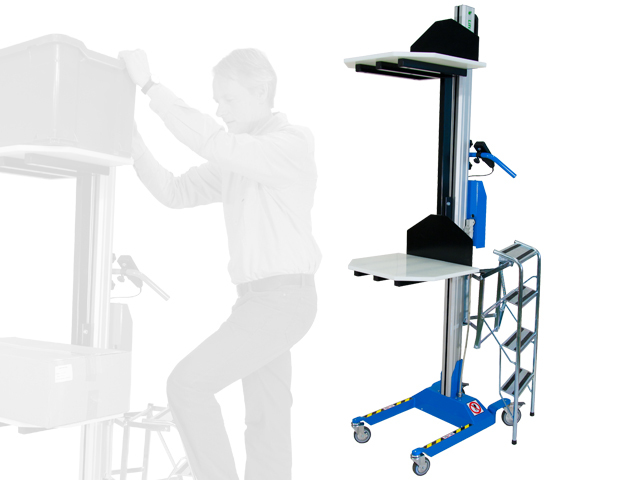 The Archive Lifter is our ergonomically designed lifting trolley that minimizes the risk of repetitive strain injuries and significantly reduces handling accidents. The mast is available in various heights and is equipped with a screw drive. For maximum security, all of our lift trolleys have been equipped with a built-in release function which automatically springs into action if an obstacle comes in the way while the load is being lowered, thus it serves as a that anti-clamping and anti-tilting device. The Archive Lifter is available in two different versions, one intended for a load capacity of 70 kg and the other for 90 kg. The trolley has pedal-activated roller brake on the rear wheels.